It is a commonly held belief that an innocent country boy or girl, upon moving to the city, will be exposed to temptations great in number and strong in attraction, that his or her innocence will be attacked, and in most cases, at least bruised, if not entirely battered. He or she may be debauched or hardened or criminalized or even robbed of life. Less has been said about the youth who moves from the iniquitous city to a bucolic setting. Even Émile Zola, our great founder of experimental fiction, never investigated such an eventuality. With the spotlight on Vancouver lately, through all that Olympics, there is also George Bowering’s short story collection, The Box (Vancouver BC: New Star Books, 2009). 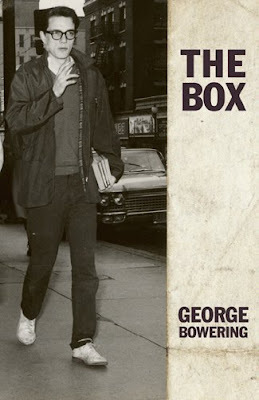 The Vancouver author of some dozens of books of poetry, novels, memoirs, essays, short stories, histories and plays, Bowering’s The Box focuses on those younger years, in and around the Vancouver of the early 1960s. Bowering’s first forays into fiction included that fictionalized version of himself, the character Delsing, that we remember so well from his first novel Mirror on the Floor (1967) and his first collection Flycatcher and other stories (1974), and this new collection of stories (his first since the appearance of his selected stories, Standing on Richards, appeared in 2004) stretches through the bars and urban spaces and fruit orchards and rural spaces in and around Vancouver of the early 1960s. One of the strengths of Bowering’s prose over the years has always been through the use of voice, and this collection of stories exists in such a surety of voice that it’s sometimes hard to see these stories outside of Bowering’s own voice, despite the changes in detail from his own experiences. This is a period of Vancouver that Bowering knows first-hand, but what are these stories telling us? Are they fable, fiction, drama or memoir or all the above? In ten stories, this collection wanders and weaves, but never loses track of itself, always managing to keep to the thread of what the story is made for, how the story gets told, and all with a fine pace, the story walking casually along Georgia Street, perhaps going down to the Hotel Vancouver. But with his recent reissues of Burning Water and Shoot! by this same publisher, one wonders, will Bowering ever return to novels? THE SIXTH ISSUE OF OTTAWATER IS HERE! The sixth issue of ottawater, Ottawa's own annual poetry pdf journal, edited by rob mclennan, features work by various residents current and former, including: Sylvia Adams, John Barton, Sara Cassidy, Michael Dennis, Andrew Faulkner, Spencer Gordon, Gwendolyn Guth, Phil Hall, Marilyn Irwin, Robyn Jeffrey, Anne Le Dressay, Rob Manery, Karen Massey, Marcus McCann, Heather McLeod, Christian McPherson, Soraya Peerbaye, Richard Rathwell, Peter Richardson, Janice Tokar, Paul Tyler, Priscila Uppal and Catriona Wright, and artwork by Reid McLachlan, Heather Munro, Gail Bourgeois, Stefan Thompson, Marc Adornato, Stefan Grambart, Pedro Isztin, Beaston, Danny Hussey , Rebecca Mason and Dan Martelock. ottawater would like to thank designer Tanya Sprowl, the ottawa international writers festival, and Randy Woods at non-linear creations for their continuing support. 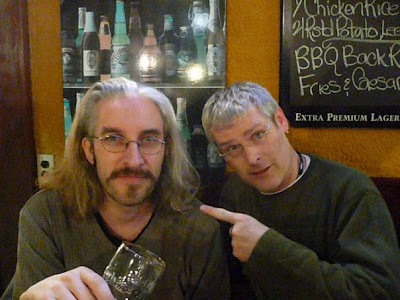 Founded to celebrate the 150th anniversary of the City of Ottawa, Canada's glorious capital city, "ottawater," and its chemical formula/logo "O2(H2O)," is a poetry annual produced exclusively on-line, in both readable and printable pdf formats, and found at http://www.ottawater.com. An anthology focusing on Ottawa poets and poetics, its first issue appeared in January 2005, 150 years after old Bytown became the City of Ottawa. All back issues still exist on the site. The first issue features work by various residents current and former, including: Stephen Brockwell, George Elliott Clarke, Anita Dolman, Tamara Fairchild, Laurie Fuhr, Gwendolyn Guth, William Hawkins, Matthew Holmes, Clare Latremouille, rob mclennan, Max Middle, Peter Norman, Monty Reid, Chris Turnbull and Ewan Whyte, interviews with poets John Barton and Max Middle, and reviews of work by Stephen Brockwell, Peter Norman and Shane Rhodes. The second issue features work by various residents current and former, including: Stephanie Bolster, Louis Cabri, Rhonda Douglas, Jesse Ferguson, Anita Lahey, Nicholas Lea, Anne Le Dressay, Karen Massey, Una McDonnell, Colin Morton, Jennifer Mulligan, Nick Power, K. I. Press, Shane Rhodes, Sandra Ridley and Ian Whistle, interviews with poets Monty Reid and Chris Turnbull, and reviews of work by Diana Brebner, William Hawkins and Nadine McInnis. The third issue features work by various residents current and former, including: Michael Blouin, Terry Ann Carter, Anita Dolman, Amanda Earl, William Hawkins, Elisabeth Harvor, Clare Latremouille, K.L. McKay, rob mclennan, Nadine McInnis, Max Middle, Cath Morris, John Newlove, Wanda O'Connor, Roland Prevost and Kate Van Dusen, interviews with poets K.I. Press, Stephen Brockwell and Shane Rhodes, and reviews of work by Laura Farina, Anita Lahey and Matthew Holmes. The fourth issue features work by various residents current and former, including: Gary Barwin, Louis Cabri, John Cloutier, Michael Dennis, Adam Dickinson, Rhonda Douglas, Laura Farina, Andrew Faulkner, Laurie Fuhr, Chris Jennings, John Lavery, Nicholas Lea, Anne Le Dressay, Rob Manery, Karen Massey, Seymour Mayne, Marcus McCann, Christian McPherson, Colin Morton, Peter Richardson, Sandra Ridley, Priscila Uppal, Andy Weaver and Ian Whistle, interviews with Nicholas Lea, Anne Le Dressay and David O'Meara, and reviews of new books by Rob Winger and John Newlove, as well as artwork by various Ottawa artists. The fifth issue features work by various residents current and former, including: Cameron Anstee, Michael Blouin, Stephen Brockwell, Monique Desnoyers, Amanda Earl, Jesse Ferguson, Warren Dean Fulton, Adrienne Ho, Sean Johnston, Ben Ladouceur, Lainna Lane, Marcus McCann, rob mclennan, Christine McNair, Colin Morton, Jennifer Mulligan, Wanda O'Connor, Pearl Pirie, K.I. Press, Roland Prevost, Monty Reid, Shane Rhodes, Suzannah Showler, Sandra Ridley, Mike Spry, Gillian Wallace, Zack Wells, Rob Winger and Rachel Zolf, as well as an interview with poet Nina Berkhout. As usual, the series includes a featured reading (which is what rob is doing) and the open set, as well as the "object of desire" competition; as rob has called it, "not the best reading series in Ottawa, but easily the most fun." This book was conceived of as an allegorical mall with a central fountain and concordance corridors leading away from it in several directions. Amid mass-produced goods and consumers, perched on the grim of the central fountain, sits the poet, otherwise known as Poverty, dipping her hand into the water to retrieve coins. Over the loudspeakers play the voices of a slowed-tempo chorus of literary critics. The entire scene is in black and white except for the green basin of the fountain and the green money exchanging hands across counters. The sculptural feature of the fountain is a gorgeous representation of Narcissis, whose face is turned down toward the water. Directly above the fountain, there is a round opening in the ceiling with the inscription “Our Pink Heaven” in a ring around its edge. The sky above is grey. (Note the mall must be closed when the sky is blue and when it is raining). Carr explores the meanings and lists of tangible and intangible things, rendering concept into object and vice versa, blending the two; the lyric takes on the properties of the hard sentence, which takes on the properties of light, and of mist, covering all else with its soft impossibility. How is it Carr writes out such wonderful impossibilities? I bled language until I had no body. Bled the cold bare language. Born and raised in Toronto, does her former city even think of her now, San Francisco poet Norma Cole, author of Where Shadows Will: Selected Poems 1988-2008 (San Francisco CA: City Lights, 2009)? I can only applaud City Lights for producing such a collection, but one thing that always frustrates about a selected poems is when it comes without an introduction (Dennis Cooley’s Sunfall from 1996 did the same); certainly, any book should speak for itself, but wouldn’t it be nice to have some kind of word to provide a context for the work and for the author, some kind of explanation as to why and what the poems are doing, why we should be listening? 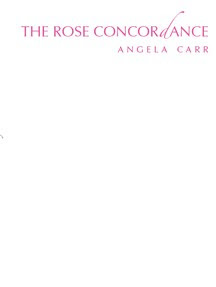 Still, this is the sort of collection that makes me want to read deeper into her writing (rumours of a chapbook came out of Montreal last year, published by Angela Carr, but I still haven’t found a copy), into the individual collections, to see where her deeper engagements lay. Can twenty years of service come through in only one hundred pages?